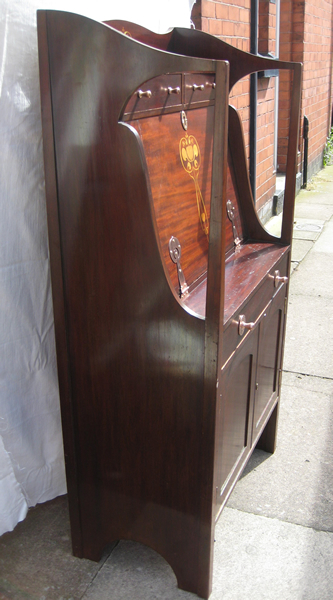 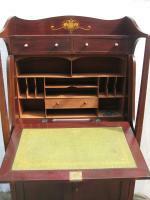 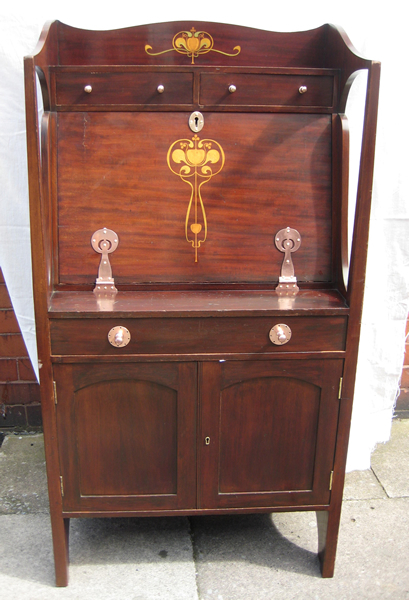 An unusual Art Nouveau/Arts & Crafts bureau with typical Art Nouveau styling and a traditional drop down writing slope, and a cedar wood fitted interior. 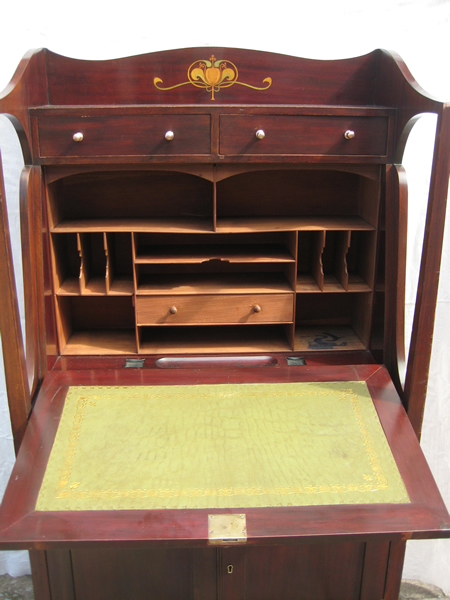 The writing slope is covered in a beautiful olive green leather. 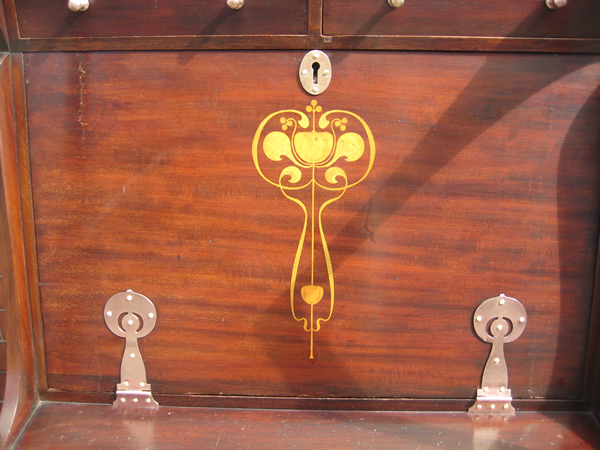 The piece contains two stationary drawers above the writing slope. A wonderful item.